The Husse Christmas donation aims to make life a bit easier for the ones that needs it the most. This year’s donation support the orphanage Children’s Village (SOS Detsko Selo) in Skopje, Macedonia. They are in need of new inventories and we are happy to provide them with new beds for all kids together with some other required equipment. Sunday on 17th of December Battista Gallon won trotting race Grand Prix de Pornichet in Nantes, France. His horse, "Best Haufour" is supplemented with Husse products. Congratulations! End of November Husse representatives were participating in World Championships IFSS Dryland 2017 in Poland. 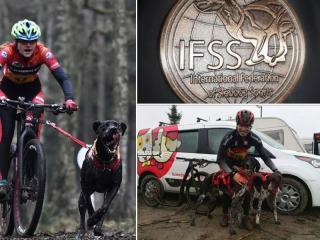 Agnieszka Jarecka and Rafal Smialkowski (from Husse Team in Poland) took 2 bronze medals in categories: Scooter with two dogs (SC2) and Bikejoring. Congratulations!